One of the advantages of the Azure Resource Management (ARM) deployment model is being able to delegate administration, something we couldn’t do under the Azure Service Management (ASM or RDFE) deployment model (see the previous posts on subscriptions and resource groups). By delegating administrative authority, we can keep the number of subscription admins low and grant access in accordance with the principle of Least Privilege. This post will walk through using Azure role-based access control (RBAC) to achieve all of this. Azure Active Directory (AD) users and groups can be assigned to any Azure RBAC role. The Azure AD tenant to which the subscription belongs is the source tenant for users and groups. If you find that the built-in roles aren’t sufficient, you can create custom roles which will be the topic of Part 2. Any access granted to a parent container is inherited by all children. For example, an account granted read access at the subscription level can see all resources in the subscription. By the way, there is no concept of denying access in Azure RBAC, so be very careful and deliberate about granting wide-spread access. Back in the ASM days, to access an Azure subscription one needed to be a subscription admin (or co-admin). Those admins are automatically granted subscription owner access in ARM. However, accounts granted owner access in ARM are not automatically granted subscription co-admin access. If you have resources that you need to manage that are not yet available in ARM you will still need to manage the co-admins list. In either case the recommendation is still the same: keep the number of subscription admins (granted either through Azure RBAC or directly through subscription admins) as low as possible. Recommendations for a resource group strategy were discussed in a previous post, so I won’t rehash that content. What I do want to talk about is how to implement your strategy. RGs must be created by an account with subscription owner role. Once the RG is created an RG owner must be assigned to a user who is the actual owner of the RG (owner as in someone who is responsible for the resources that the RG will contain). Once that owner has been established additional roles can be added by the new owner. The advice for RGs is the same as subscriptions: keep the number of owners as low as possible – not everyone who needs access to the RG needs to be an owner of the RG – use Contributor instead. To keep the administrative overhead as low as possible, use Azure AD groups to manage role membership. Create a group and add user accounts to the group. If you’re syncing your on-premises AD Domain Services (DS) with Azure AD create the group in AD DS and let it sync to Azure AD. Manage these groups using your existing on-premises user and group management process. Contra much of the advice published on the Internet not every service or application should get its own VNet and not every virtual machine (VM) should get its own storage account. VNets and storage accounts for VM disks (VHDs) are infrastructure resources and need to be managed as such. Create an RG for the VNets and place all the VNets into that RG. Create a group, name it something descriptive like Network Consumers, and grant it the Reader and Virtual Machine Contributor roles to the VNet RG. Any user account in that group will be able to attach VMs to any of the VNets in the VNet RG. Create an RG for the VHD storage accounts and place all the VHD storage accounts into that RG. Create a group, name it something descriptive like Storage Consumers, and grant it the Reader and Virtual Machine Contributor roles to the VHD storage account RG. Any user account in that group will be able to use any of the storage accounts in the RG to store a VM’s VHDs. First, whats an Azure subscription really? An Azure subscription is the base container into which related resources (similar business and/or technical needs) are grouped together for usage and billing purposes. The key thing about a subscription is its a billing boundary in Azure. See, Microsoft rolls up all the resources in a subscription and sends a single bill for the entire subscription. There is no ability to sub define payment information below the subscription level. Additionally, a subscription is an administration boundary. A subscription co-admin can access any resource within the subscription, and then delegate that access through role based access control as needed. Now, a little history. Originally a subscription was the only role based access control boundary. either everyone was an administrator of everything in the subscription, or they were a reader, or they had no access at all. This led to a school of thought where subscriptions were created, one for each working group/access boundary. This superuser or nothing access was one of the consistent early failures of the old Azure ASM console approach in a major enterprise. Having to receive 100 bills from 100 subscriptions and reconcile that, as well as have all or nothing access didn't sit well in the enterprise customer market. It didn't help that to separate resources between dev and production (and access rights) meant you separated subscriptions. Further, separate subscriptions meant new networking infrastructure and shared services setup. Each time. This didn't seem right. People started placing brokers and cloud management platforms in front of azure, looking for ways to automate subscription creation, tear down, and bill reconciliation. This waters down the platform to a least common denominator, and doesn't fit well with PaaS. Fast forward a few years, and azure is picking up steam, and also has a new look and API. In the ARM console (the new portal), this was solved. Azure introduced granular RBAC into not just the console, but the underlying ARM API. The model chosen allows delegation of individual rights and permissions down to the lowest node in the tree (any ARM object) and still allows use of the full API, etc. Further, you can apply policy to any level of the ARM API (we'll cover this in a future post). This switch changes our guidance dramatically, and in fact makes it possible for us to go with a fewer subscription policy. Overall the number of subscriptions should be kept to a minimum, and in many cases a single subscription is adequate and only adding more when it makes sense. Fewer subscriptions means less complexity and overhead. Several ARM features facilitate a reduced number of subscriptions, especially Role Based Access Control (RBAC), Tagging, NETs/VNET Peering, ARM Policy, and Azure Active Directory (AAD). RBAC allows creation of different access control security models within one subscription. Tagging permits flexibility for billing to be segregated as needed within a single subscription. VNET peering allows you to connect those segregated vnets as needed to a central vnet or an express route connection. ARM Policy allows you to setup restrictions for naming conventions, resource and region usage, images, etc. With the new Azure Resource Model, fewer subscriptions are needed resulting in fewer billing invoices, top level administrators and lower overall complexity. Less is better. Do not create a subscription for each environment Dev/Test/Prod to protect quota and enforce security. Consider if enforcing quota is necessary. Using ARM Policy, or even an advanced billing system can have the same outcome without the complexity/business pain. Resource limits can modified by Microsoft up to a point, but most limits are well beyond what a typical client would require. For example one current limit is 10,000 VM cores per region per subscription. 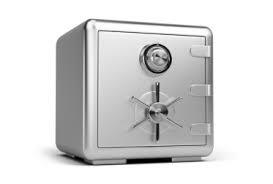 At present, Storage accounts is the limit most customers hit first, at 250 per subscription. Spend some time on careful management of this resource, but don't go crazy locking it down, 250 is still a lot and that change someday. Do not create multiple subscriptions just to have separate bills for each department. Separate subscriptions introduces the need for a second set of networking infrastructure, or cross subscription Vnets thru site to site VPNs. While it is possible to do it does increase complexity. Do not use a subscription as the primary method of delegating administration. Subscriptions should be as a very high level administrative container, but that’s it. (e.g. one subscription per IT department in a company with multiple IT departments might make sense). Avoid spanning applications across multiple subscriptions with a single app, even with multiple environments, because it reduces your ability to view and manage all the related items from one place and on one bill. If you must have multiple subscriptions, don't split by dev/test/prod, instead split by groups of apps with the entire app and its related apps contained within a single subscription. Do not proactively split subscriptions based an "eventually" needing more resources. Resource limits are always increasing so by the time you may get close to a limit it would have likely been increased. There is a 1:1 relationship between an Azure subscription and its corresponding bill so knowing how IT related expenses are handled internally will be a major factor to consider. For most clients the IT department handles the bill from a central budget. While other clients require the bill to be broken down in order to charge back costs to each business unit. Utilize tags to achieve the desired result. Be mindful that only the Account administrator can manage billing. If you have an Enterprise Agreement with Microsoft, an EA subscription will be the best choice. There are many different types of Azure tenant types available (Enterprise, MSDN, Pay-As-You-Go, Free, Sponsorship, etc.). The recommended subscription type applicable to most customers is Enterprise. Be aware some tenants do not have access to certain service types. For example an EA tenant can not purchase AAD Basic or Premium through the Azure portal, it must be purchased separately thru the EA portal (because it is a per user based service). The same is also true of certain third party services available only through specific tenant type. Before moving forward with a subscription, ensure the commercial construct of the subscription matches the intended use. Sponsorship subscriptions should not be used as the main subscription as you'll need to migrate the resources to another subscription at some point. This is because Sponsorship subscriptions usually have a hard usage cap or time limit. When they reach that cap/limit, they revert to Pay-As-You-Go with no discounts. Do not create additional subscriptions planning on growing beyond current resource limits. Resource limits in Azure change frequently. Do not use current limits and your anticipated growth to determine the number of subscriptions to deploy. Always have the mindset to have as few subscriptions as possible (ideally one), for as long as possible. Defer adding complexity that may never be needed or not needed for a while. There are hard limits on how many of a given resource can exist within a subscription. These limits can be raised by Microsoft to a point, but once this point is reached additional subscriptions are required. It is important to note that ARM limits supersede the subscription limits, for example ARM is unlimited number of cores, but the limit is 10,000 VMs per region per subscription. Be aware that many quotas for resources in Azure Resource Groups are per-region, not per-subscription (as service management quotas are). It is important to keep current on Azure Subscription Limits, and expect them to change frequently. Azure Subscription Limit information is available here. Each application should be wholly contained within a single subscription whenever possible. e.g. the Dev/Test/Production environments for an app, across all regions should exist in a single subscription. Next try to place adjacent applications in a single subscription, particularly if they are managed and/or billed with the same people. If you split the app between subscriptions it reduces your ability to view and manage all the related items from one place, and see them on one bill. We have seen cases where clients have separated test/dev/production into separate subscriptions, which adds complexity without value. We don't recommend this now that RBAC and tagging are available. Again, goal is as few subscriptions as possible. Only add new subscriptions as you need them. Do not proactively split subscriptions based an "eventually" needing more resources. Odds are by the time "eventually" comes the limits will have increased. They still exist. Co-Administrators (limit 200 per subscription for ASM, no limit for ARM) - This role has the same access privileges as the Service Administrator, but can’t change the association of subscriptions to Azure directories. Minimize the number of co-admins as much as possible, and use RBAC to grant access on the principle of least privilege. Think of them as the domain admins of your azure account. E.g. they should be restricted to specific tasks that need them. Windows Azure Pack uses the ASM/Co-Administrator model, and since you own the whole thing, its not that detrimental to give each group its own subscription. Windows Azure Stack uses the ARM model. Wile you could give everyone their own subscription, we don't see a reason to deviate from the guidance here within a business unit. Azure Stack subscriptions still need networking, etc. just like an azure subscription. There is a concept of delegated subscriptions (basically nesting) in Stack, but since it doesn't currently translate to Azure, and because RBAC/Resource Group based rights management works well, we simply don't see the need. Instead use multiple subscriptions in stack to peel off resources for groups you truly don't trust, like partners and 3rd party organizations. This is the first in a series of blog posts discussing the subscription and resource group layout we recommend for large enterprise customers. Wile smaller customers may not hit some of the limits discussed here, its certainly equally relevant and applicable. Wile this content is primarily written by the author, some guidance is the work of a collection of people within Avanade's Azure Cloud Enablement group.